Today I’m sharing my Smashbox Cover Shot Prism Eye Palette review and swatches on fair skin with you. I fell for this palette because of the purple and grey tones. I’m a sucker for both! I think I bought it from Ulta, but it may have been Sephora. I love the sleek, no frills packaging for the Smashbox Cover Shot Prism Eye palette. It’s small, lightweight, and easy to put into any makeup bag. Rocket Star – sheer white with blue iridescence. Great for layering. Best applied with a finger tip. Smashbox suggests using Bratmosphere on the inner 1/3 of your lid, Rocket Star on the middle 1/3 of your lid and Prism Break to create a dramatic wing on the outer 1/3 of your lid. Really, these colors are great layered. Put Rocket Star or Astro Not on top of any other color to add dimension and shine. 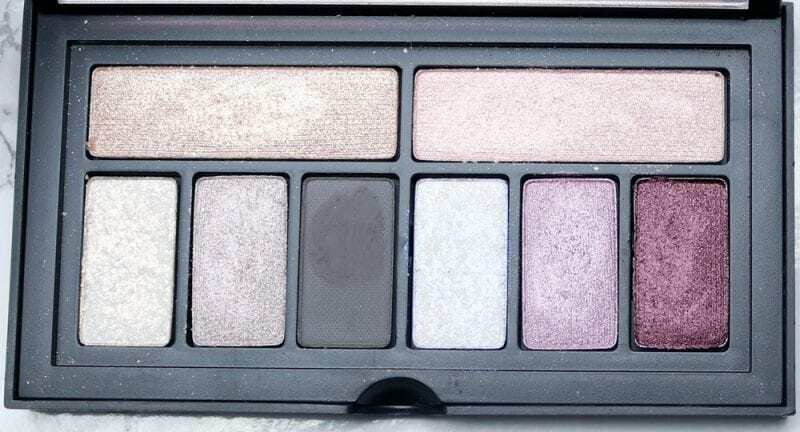 What I love about the Smashbox Cover Shot Eye Palettes is their portability. They’re so tiny they fit into my smallest makeup bags. They’re ideal for travel. I find the Prism palette shades to be very flattering on my skintone and they really help to make my eyes pop. What I hate about the Smashbox Cover Shot Eye Palettes is the amount of product you get. You’re only getting .21 oz of product for $29. I think each of 6 smaller eyeshadows are probably around .021 oz of product and the 2 bigger ones are .042 oz of product. 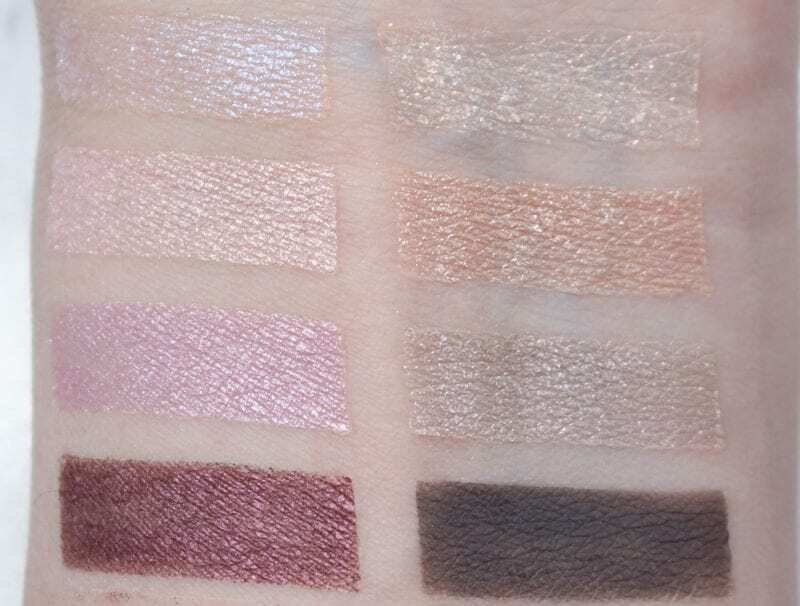 A typical eyeshadow is around .05 oz of product. Also the price has gone up from $28 to $29 on them. For comparison, the Urban Decay Naked Basics palette is 6 full size eyeshadows that are .05 oz each, for .3 oz of product in the palette. Though the UD Aphrodisiac is 6 eyeshadows that are slightly less than full size at .04 oz each for .24 oz total. 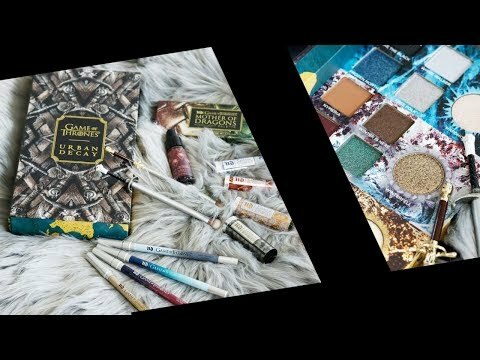 Both of these UD palettes are $29 each. The Smashbox Cover Shot Prism Eye Palette is very versatile. It has plenty of combos for a conservative office environment. However, it’s ready to play when you want to take your look from day to night thanks to Rocket Star and Astro Not. 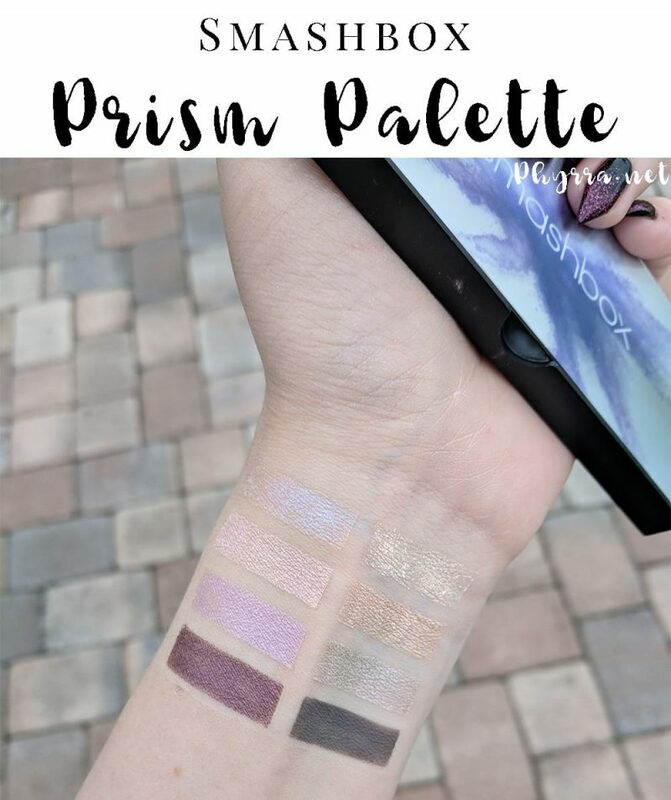 If you’ve been on the fence about the Smashbox Cover Shot Prism Eye Palette, I highly recommend you check it out at your local Sephora or Ulta. It’s my favorite of the ones I’ve picked up so far. I’ve also got Punked, which is perfect to pair with Prism. I also have the Smashbox Vlada Petal Metal palette, which is beautiful. The only Cover Shot palette I have that’s a little disappointing is the Bold palette (the rainbow one). Right now you can pick up the Prism palette for 15% off (making it only $24.65) with the code VIP at Macys. I don’t know how long this special offer will last. However, Nordstrom is price matching Macys sale, so you can grab it at Nordstrom for the same price! What do you think of the Smashbox Cover Shot Prism Eye Palette? You should also review their ultraviolet palette. I wish I could wear shimmer because I love this palette! I saw this palette yesterday and thought it was gorgeous. Gorgeous enough to consider buying … but the amount of shimmer stopped me. I can’t justify buying a palette in which only one of eight shades is matte, especially when it’s such a dark shade. But thank you for reviewing it. I will continue to lust at it from afar.